Rolls-Royce Phantom Coupe is a gem from Rolls-Royce. It makes its presence felt on the roads. The car is a perfect blend of awesome power and breath taking exteriors. The car is surely a head turner with ultimate design and mind blowing style, with technology and power attached to it. Rolls-Royce Phantom Coupe delivers all the fun and speed which has the potential to get anybody’s adrenalin flowing. It is one of the successful cars launched by Rolls-Royce. Appearance: Rolls-Royce Phantom Coupe has stunning looks. The exterior comprises of Body coloured bumpers, Front Fog Lamps, Rear Defogger, Rain Sensing Front Wipers and Electrically Adjustable Outside Mirrors. The Tubeless Tyres and broad Alloy Wheels give a tough and sturdy look to the car. The front face of the car is sleek but aggressive. 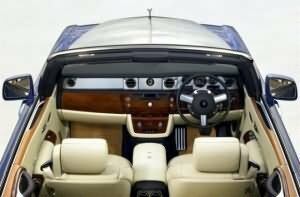 Comfort: Rolls-Royce Phantom Coupe has various comfort features for the occupants. 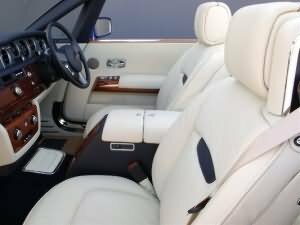 The car has leather seats, Height Adjustable Driver’s Seat, Tiltable Steering Column, Leather-wrapped Steering and Gear Knob, LCD Monitor, Power Windows, Power Steering, Powerful A.C. with Climate Control, Hi-tech Audio System, Cruise Control, Power Door Locks and Cup Holder. Safety: Rolls-Royce Phantom Coupe has advanced safety features. The standard safety features include Central Locking, Anti-Lock Braking System (ABS), Engine Immobilizer, Airbags, Remote Keyless Entry, Child Safety Door Locks, Front/Rear Seatbelts, Collapsible Steering, Crumple Zones and Anti-Theft Alarm. Engine: Rolls-Royce Phantom Coupe has 6.75L, V12, 6749 cc Petrol Engine which produces a maximum power of 460 PS at 5350 rpm and a maximum torque of 720 Nm at 3500 rpm. It is linked to 6-speed Automatic ZF transmission. 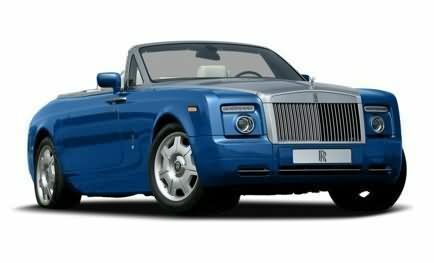 Price: The price of Rolls-Royce Phantom Coupe is Rs.4,10,00,000 . However, the price specified is tentative price which excludes tax, registration, insurance and cost of accessories.